Gwangnaru Station (Seoul Subway Line 5), Exit 2. Cross the street, turn left, and go straight for 300m. Turn right in front of Gwangjin Youth Center. 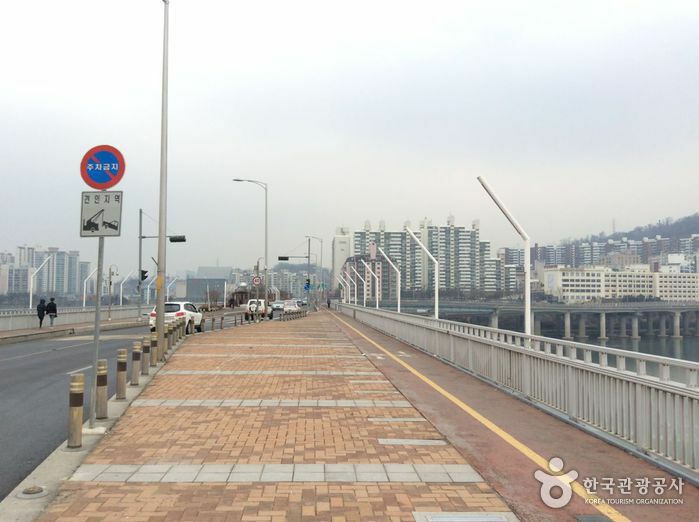 Continue straight for 600m along the Gwangjingyo Bridge. Cheonho Station (Seoul Subway Line 5, 8), Exit 2. 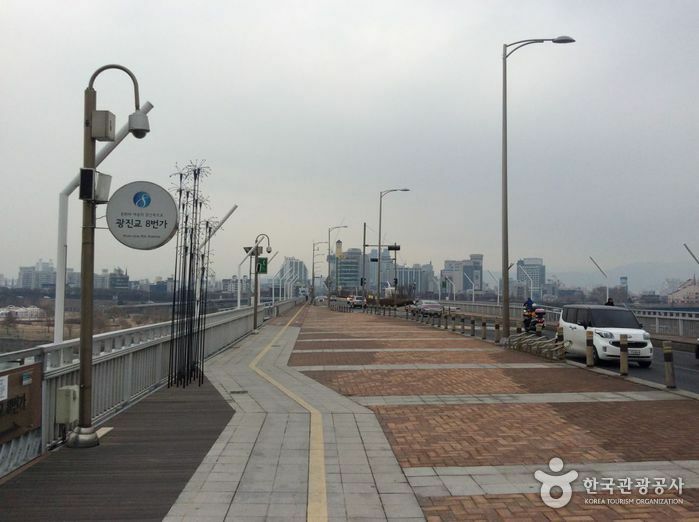 Go straight for 300m and turn left towards Gwangjingyo Bridge. 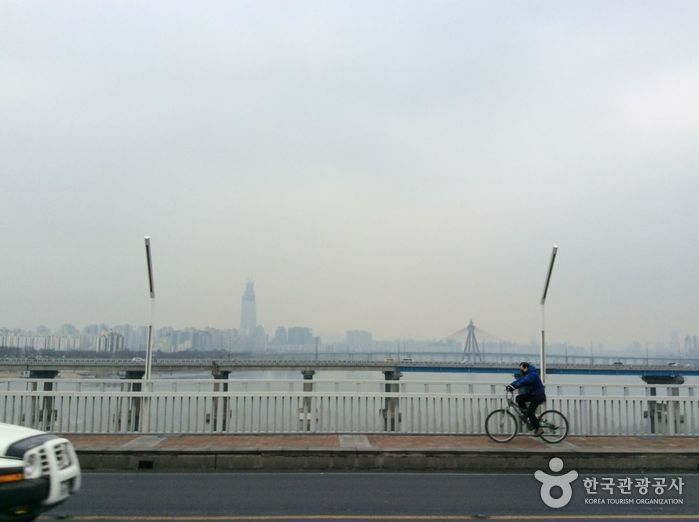 Go straight for 900m along the Gwangjingyo Bridge. 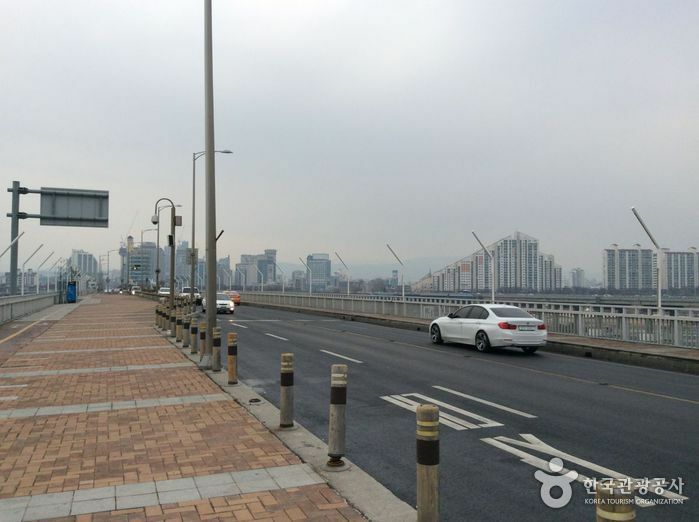 Gwangjingyo 8th Avenue is the only cultural area in Korea located beneath a bridge. Not just a performance venue, the building also houses a gallery depicting the 100-year history of the Hangang River and a Hangang Renaissance Project Promotion Room, which provides a glimpse of developers’ plans to further revive the river into a prime leisure spot for citizens and tourists. 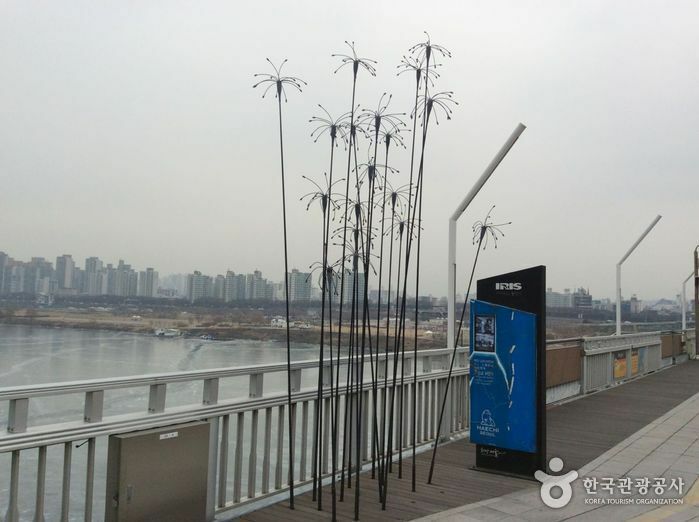 Thanks to its location under the Gwangjingyo Bridge in Hangang Park (Gwangnaru area), Gwangjingyo 8th Avenue affords a scenic view of the river as seen from its glass observatory. Live performances are held on Friday or weekend nights; applications can be made online and a few winners are chosen at random to watch each performance.